There’s nothing quite like the effect of a fire. It creates a wonderful feeling of comfort and cosiness. But open fires can be inconvenient and messy. Likewise if installing a gas fire you need to consider flue and gas connection constraints, the permanency and cost of installation and the need for annual servicing. This is why so many people around the world appreciate the benefits of using a Dimplex electric fire. 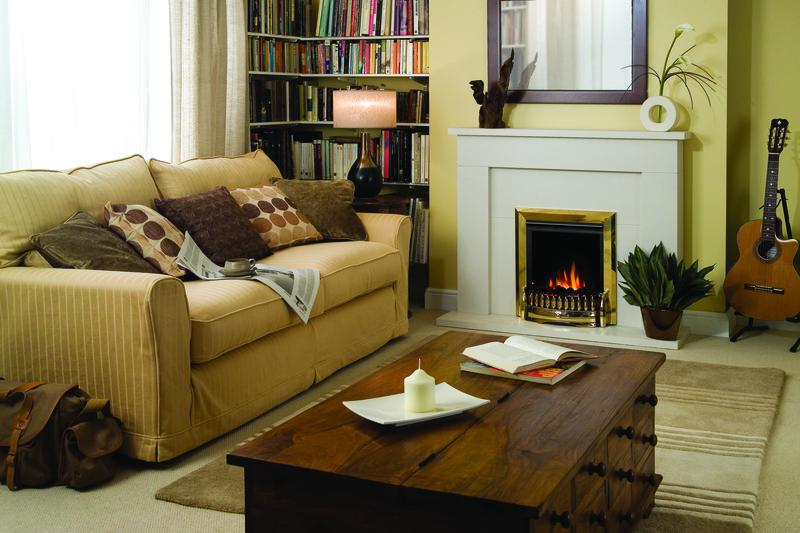 All Dimplex Optiflame® and Opti-mystTM fires are 100% efficient at point of use, so no heat is wasted. The ‘flames’ can also be used independently of the heating, so you can enjoy the cosiness of the flames on those dark but mild spring and autumn evenings. Dimplex electric fires also require no maintenance* or cleaning unlike conventional open fires, and are very simple to install; virtually all fires come complete with a fitted plug and many don’t even require a fireplace! However, if your preference is for a complete fireplace, Dimplex can offer this too with a choice of suites and ready-to-fit surrounds.